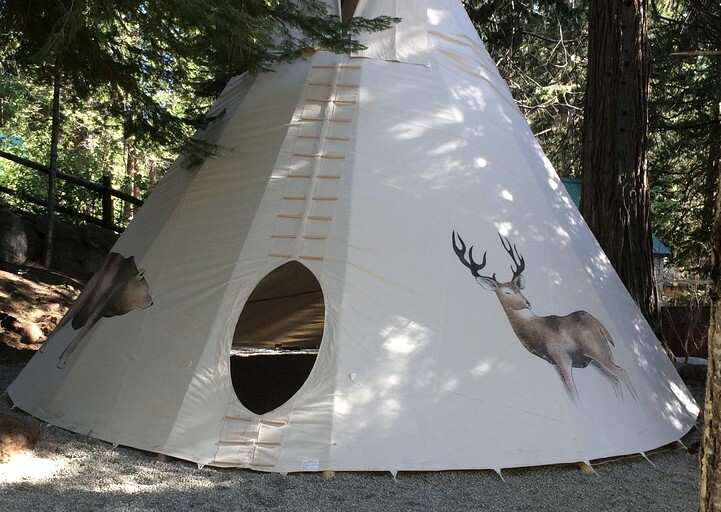 This unique tipi is located near Fresno in Shaver Lake, California, and can accommodate four guests. Guests are just steps away from the shared bathroom with a shower in the main building. This 20-foot space has a queen-size bed, two cots, and comfy seating. Linens and towels are not provided and may be rented from the host or supplied by the guests. Other amenities include Wi-Fi and parking. This rental includes free property-wide Wi-Fi and parking. A complimentary continental breakfast is provided for all accommodations that do not feature a full kitchen. For entertainment, guests will find a flat-screen cable TV with a BluRay player in most accommodations and free video rentals in the main office. Nothing beats cuddling up next to the gas stove, the wood-burning fireplace, or the electric heating on a cold day. An iron and board are also available upon request. Outside, guests can have a BBQ on the grill while enjoying the fresh mountain air and then roast marshmallows over the fire pit as the stars begin to twinkle in the night sky. 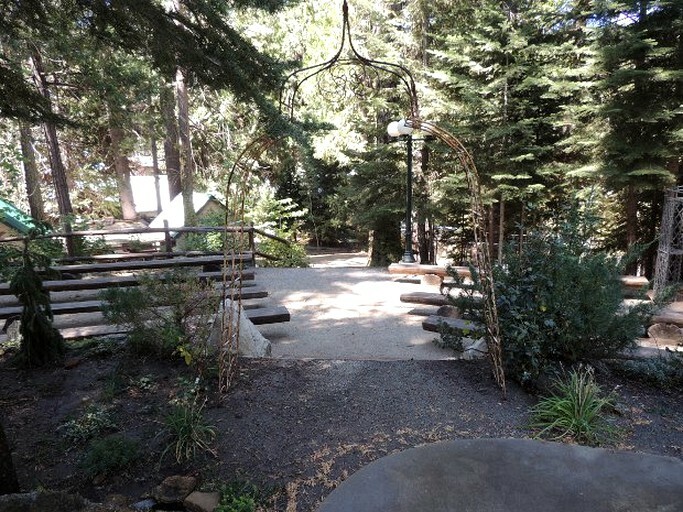 Guests have access to Shaver Lake just four miles away. This site also serves as a venue for weddings and events. Guests should inquire with the host for further details. Extra beds are available for an additional nightly fee. Winter guests can go sledding right on the property or head to China Peak Ski Resort for incredible skiing and snowboarding. Nearby, there are also plenty of trails for snowmobiling and cross-country skiing. Once the ice melts, guests can use trails such as the Twin Lakes Trail for scenic hiking, biking, horseback riding, 4WD, and ATV riding. Surrounded by mountains in the Sierra Nevada, guests can stray from the trails for some thrilling rock climbing. The breathtaking Shaver Lake is ideal for swimming, fishing, boating, and water sports such as jet skiing. With the proper permits in order, the guests can go hunting in the Sierra National Forest. 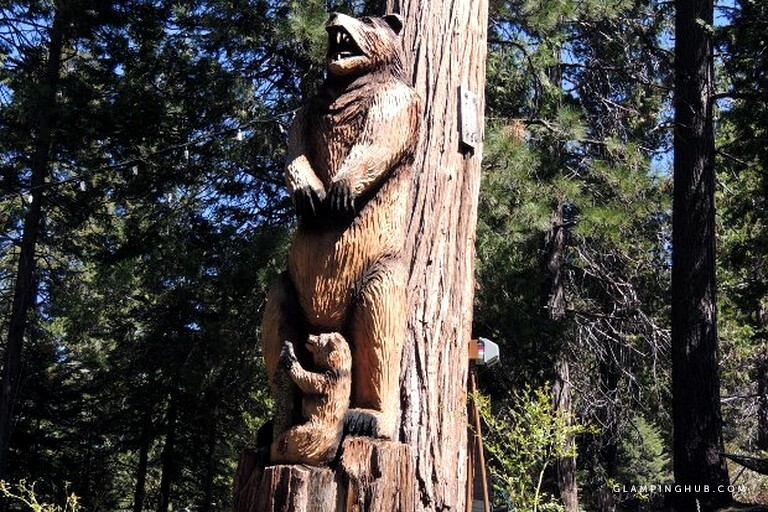 Right around Shaver Lake, guests will also find plenty of shopping and dining. During the summer months, guests can enjoy outdoor family movie screenings on Saturday nights. One pet of any size is welcome to tag along for an extra nightly fee with permission in advance.